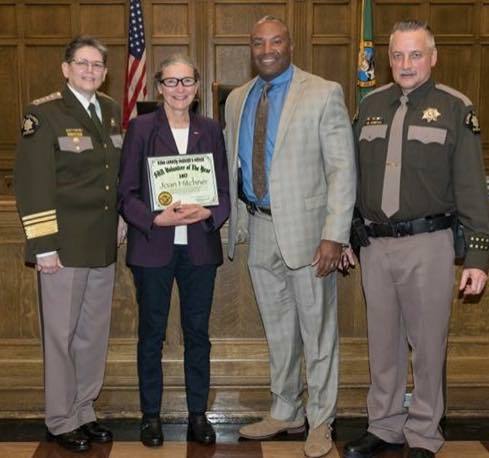 Something to really brag about: Joan Hitchner, one of the longest serving Members of King County Search Dogs, was selected as the Volunteer of the year by the King County Sheriff. Over 300 missions thus far in her 16 year career. We are very proud! Ed Christian, the distinguished gentleman on the right of the photo, is the King County Search and Rescue Coordinator and was recognized as King County Deputy of the year at the same ceremony. Wonderful tribute for King County SAR!